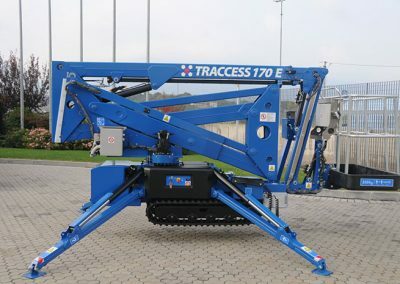 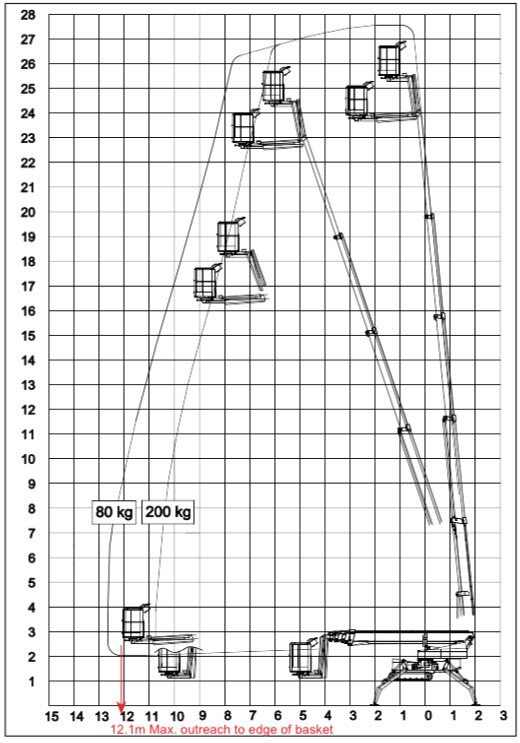 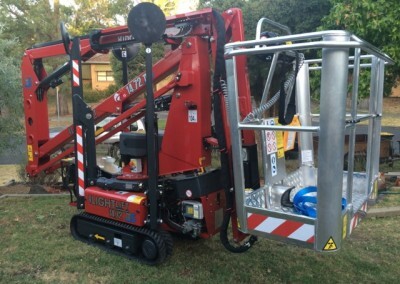 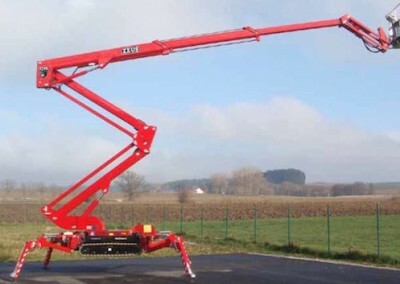 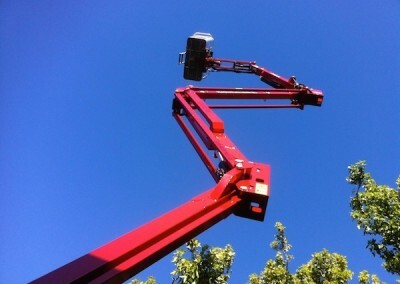 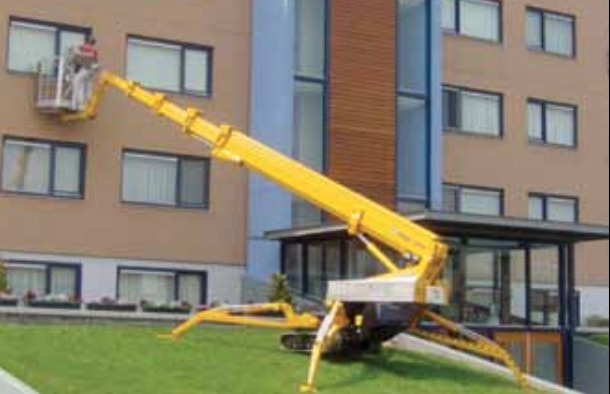 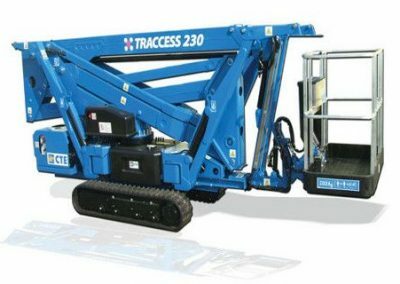 * Looking For Spider Access Equipment - 27m Reach? 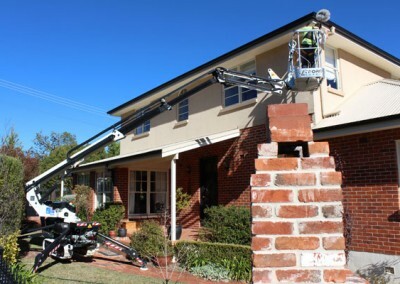 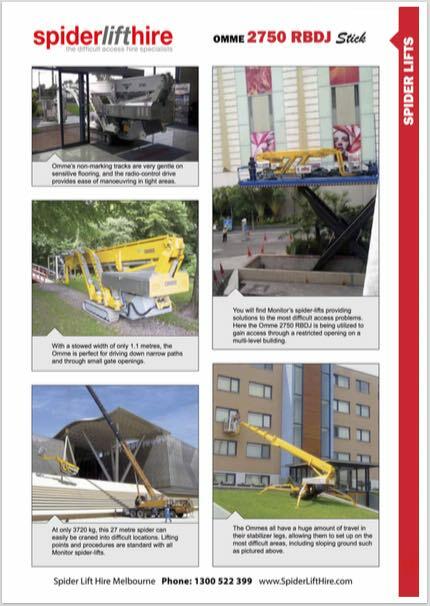 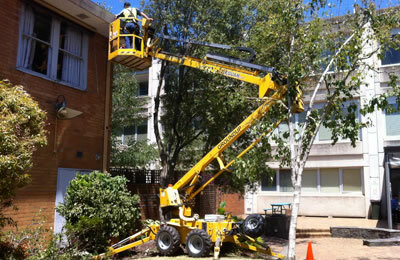 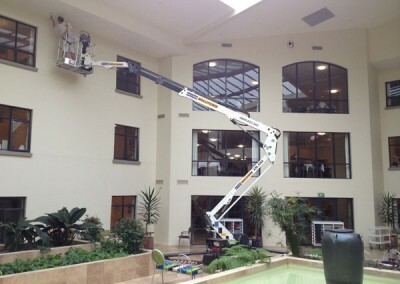 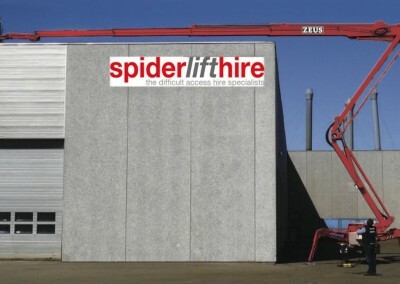 You will find Spider lift Hire spider-lifts providing solutions to the most difficult access problems. 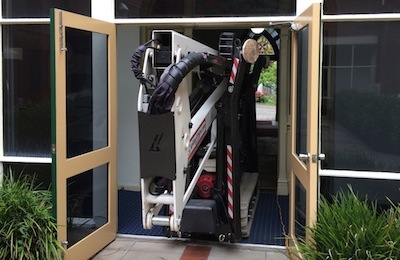 Here the Omme 2750 RBDJ is being utilised to gain access through a restricted opening on a multi-level building. 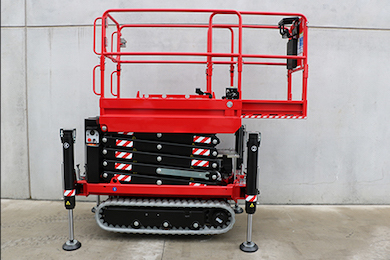 With a stowed width of only 1.1 metres, the Omme is perfect for driving down narrow paths and through small gate openings. 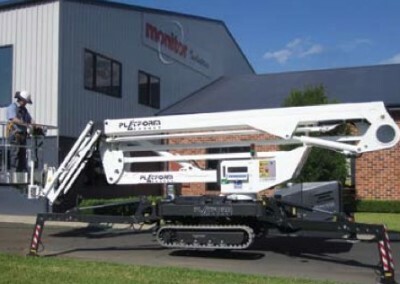 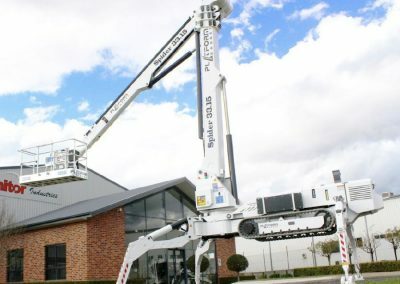 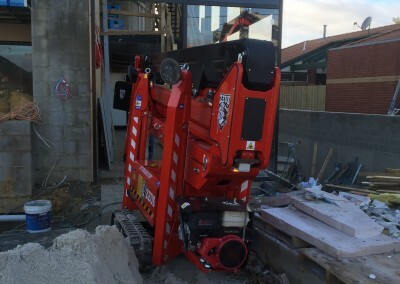 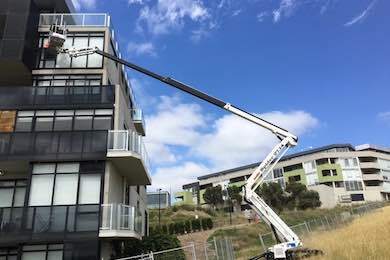 Doorway access with a 27 metre boom-lift. 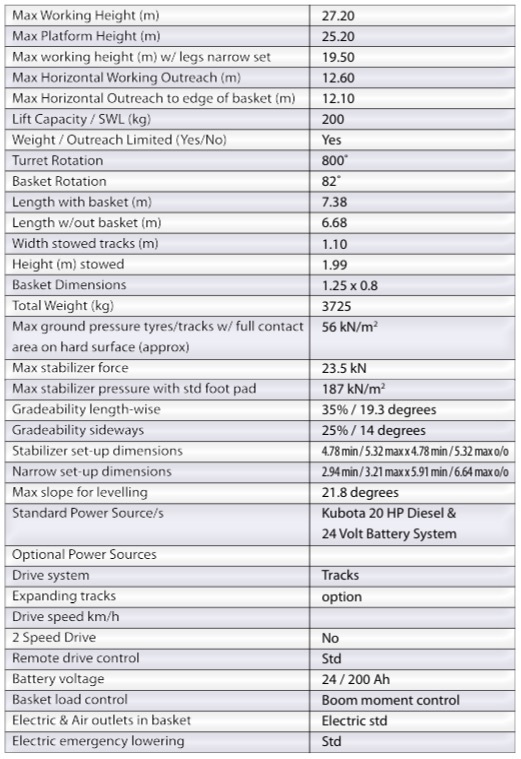 Most amazing! 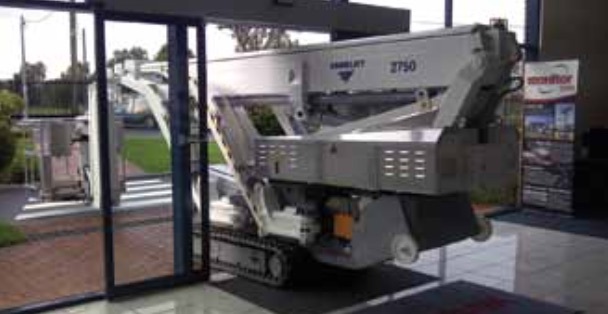 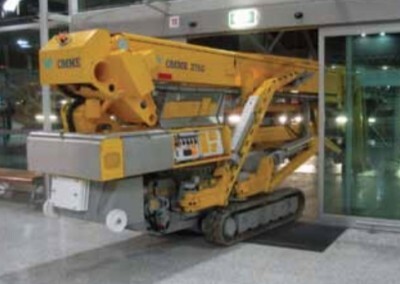 The Omme 2750 accesses all those hard to get to areas! 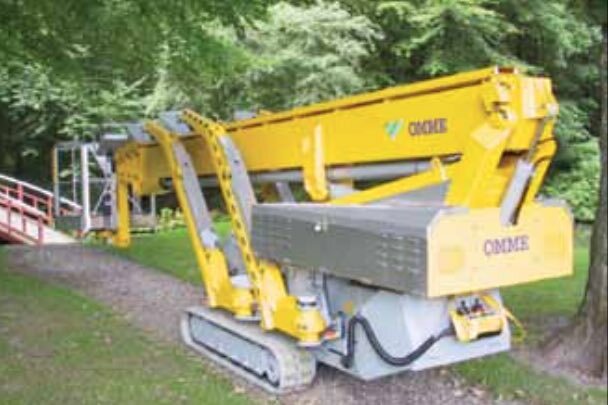 Omme’s non-marking tracks are very gentle on sensitive flooring, and the radio-control drive provides ease of manoeuvring in tight areas. 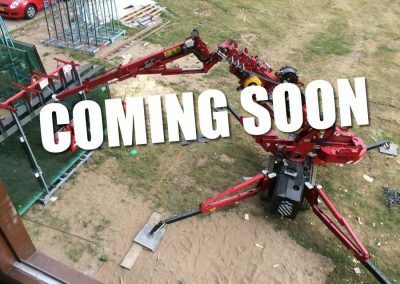 The Omme 2750 has a huge amount of travel in their stabiliser legs, allowing it to set up on the most difficult areas, including sloping ground.